Unisource Solutions is the leading provider of smart office solutions and facility management services, with offices throughout California. For more information about what we do and to find out how we can take your workspace to the next level, reach out to our team at any of our locations. 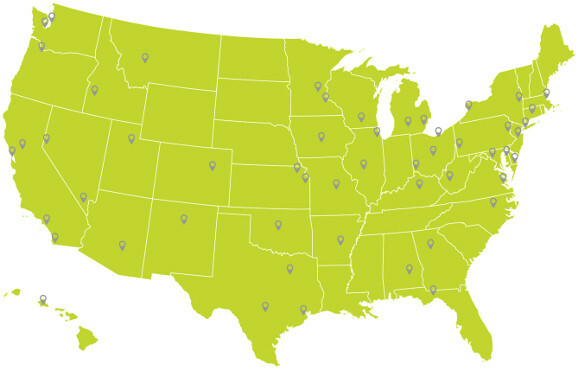 While we are headquartered in Los Angeles, we have recently serviced locations across the United States. Each pin to the right represents one of these locations! We want to hear from you. Fill out the form below with any questions you may have about our services and one of our team members will get back to you as soon as possible.